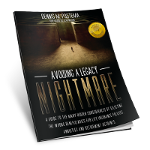 The #1 Bestseller, Avoiding a Legacy Nightmare, helps initiate client conversations about their legacy and what they want it to accomplish. It also helps create an estate plan that achieves their goals while enabling you to identify additional sales opportunities. Complete the below form to see your Avoiding a Legacy Nightmare sneak preview.